Designed specifically for students, FMA's Career Resources help guide you on your desired career path. "How to Get a Job" - New & Improved Version! The transition from the classroom to the boardroom is not easy. It requires a thorough, systematic approach to a variety of complex, inter-related tasks. FMA's "How To Get A Job" is a step-by-step guide to help you from the job search and application stage to the interview and salary negotiation stage. Student members also have access to a guide to online resources on jobs, finance news and education resources as well as a compilation of internship, analyst and MBA Associate programs. - Recently updated for 2019 programs! This board, designed for those seeking jobs and candidates for entry-level practitioner (non-research) positions in finance, has more than 150 finance positions at companies such as, American Express, Bank of America, General Electric, HP, and Proctor & Gamble. If you have trouble understanding the difference between a CFA, CFP, CIC, ChFC or any of the other financial certifications, you're not alone. 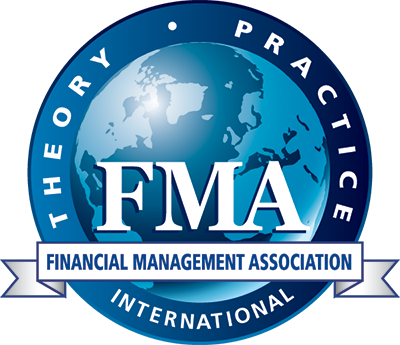 FMA provides a comprehensive listing of the most common finance certifications, what they entail, and how to reach the issuing bodies. Click here to learn more. FMA's comprehensive online library includes papers and videos on topics ranging from behavioral finance, capital structure, econometrics, IPOs and portfolio management as well as exclusive articles and handbooks on topics from leading scholars, such as Michael Jensen and Myron Scholes. Considered one of the leading academic finance journals, Financial Management publishes empirical research on financial management of non-financial businesses, financial institutions, and public/private not-for-profit organizations. If you are considering continuing your academic career beyond your undergraduate degree or perhaps even thinking about a doctoral program, the journal's content will help prepare you for future research. All members have access 20+ years of archived articles! Established in 1991 as Financial Practice & Education (FPE) and renamed in 2001 as the Journal of Applied Finance (JAF), the mission of the journal is twofold: (1) to encourage and disseminate academic research that is relevant to practice, and (2) to advance the frontiers of relevant academic research through academic and practitioner forums of all types and through hypothesis generation leading to research relevant to practice. FMA's special compilation of interviews, video presentations, invited articles and roundtable discussions with the pioneers of modern finance, including perspectives from Franklin Allen, Edward Altman, John Bogle, Michael Jensen, Myron Scholes and Rene Stulz. FMA maintains an archive of videos featuring prominent finance researchers and practitioners – and even the authors of your textbooks!